As a leading and trusted business entity of our domain, we offer an exclusive range of Effluent Water Treatment Plant for our valued clients. 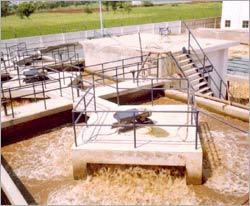 Our manufactured range of Effluent Treatment Plant is based on conceptual designing and process engineering according to the treatment process needs of our valued clients. Our effluent treatment plants are fabricated and installed in strict compliance with the prevailing industry specific standards. In addition to this, quality is the focal point of our all the business activity, work culture, practices and procedures. We strictly adhere to the stringent quality guidelines in our manufacturing wing.